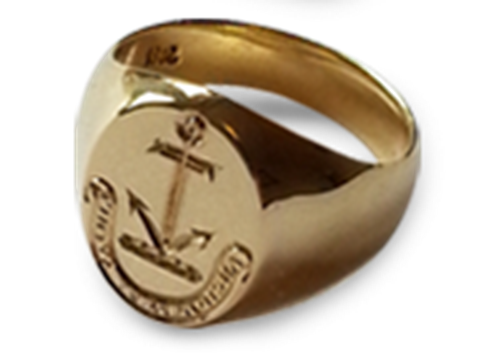 In historical times, used by rulers and religious leaders, a signet ring could be used to mark a document, a doorway or even to seal a tomb. When someone saw the mark of the King, it proved authenticity. 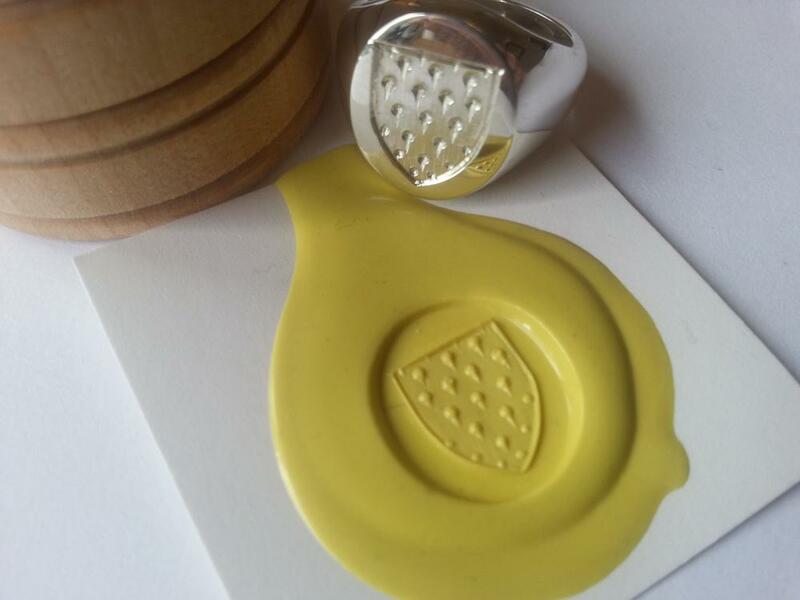 The seal could not be opened without damaging the identifying mark, making it difficult to tamper with. 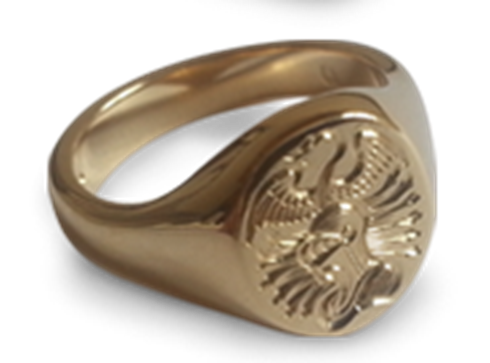 Because of how they were used, signet rings are also known as seal rings. 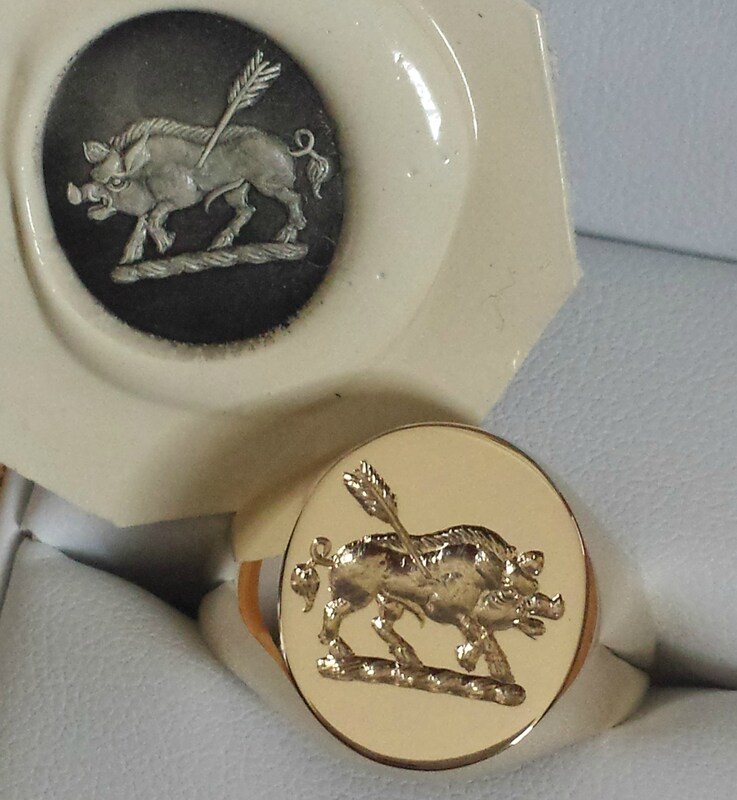 Seals then became more democratised, butchers would sign agreements with a seal bearing a hog or cow and then by the 13 th Century were more accessible to the ordinary freeman. 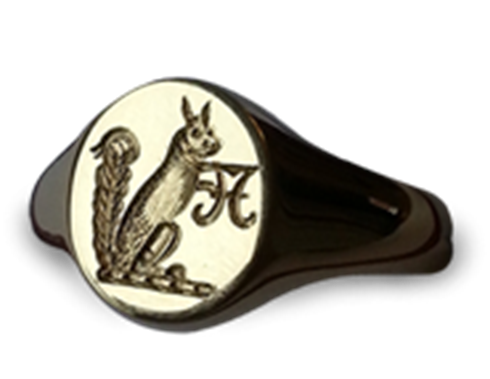 Setting a personal seal on a signet ring was to establish ones ownership. 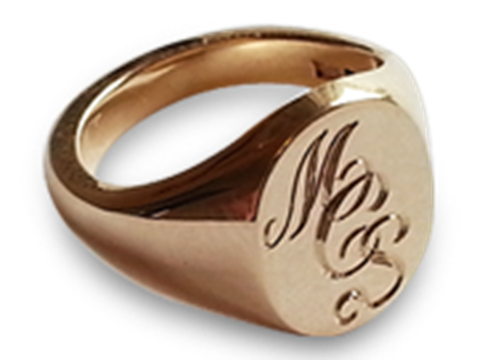 Signet rings today are still created to express traits and achievements of an individual or a family. 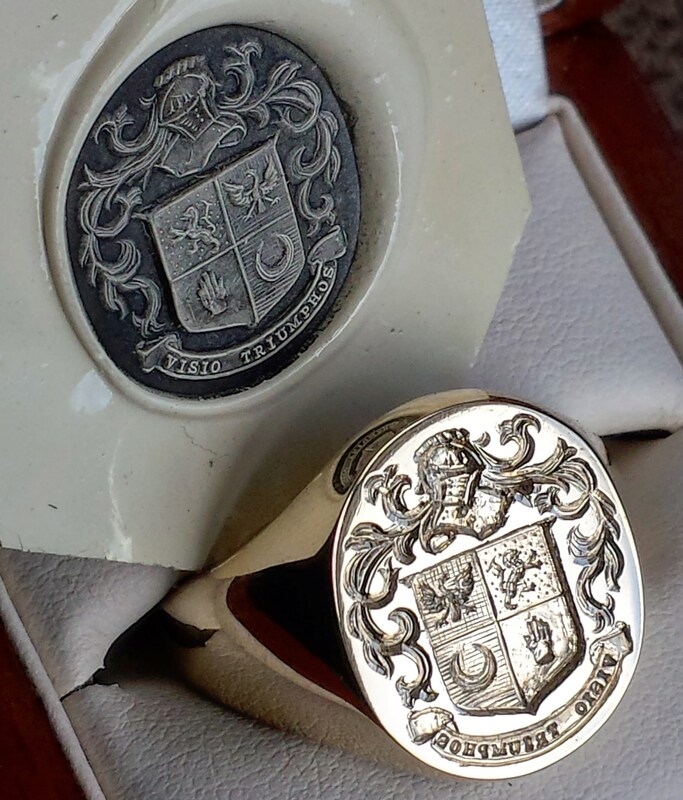 click here to contact us about your family crest. 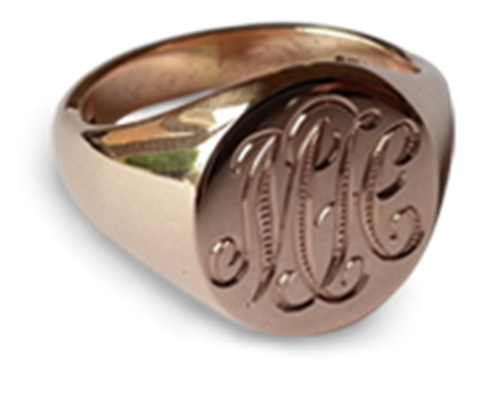 The most common rings were engraved with initials, monograms and family crests, from a simple letter to a more decorated full coat of arms. 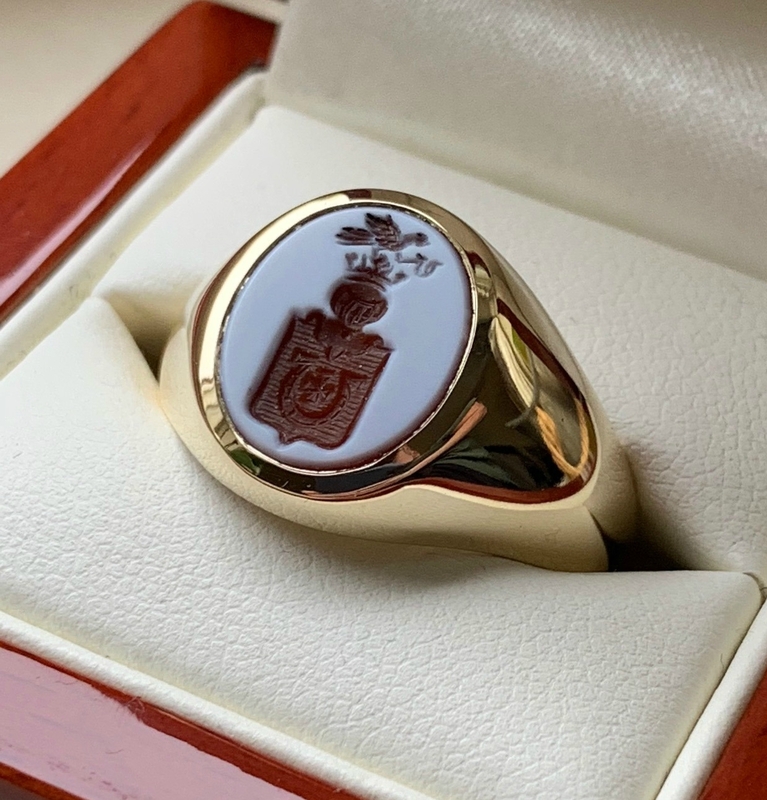 As these historical traditions continue the option to engrave a unique and personal seal has increased the popularity of the signet ring. It’s a matter of personal style and the options are extensive. Click here to get a free quote. 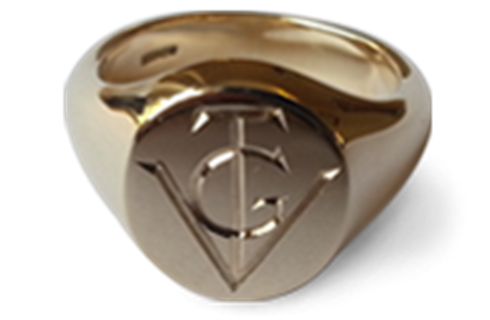 Century this concept was then adapted for the use of signet rings. Engraving through the lilac layer brings the red onyx to light creating a beautiful work of art. Other semi-precious stones also began to gain popularity, like the black onyx, cornelian and bloodstone th Ancient Greeks and Romans went to battle wearing sardonyx talismans engraved with images of heroes and Gods like Hercules and Mars. Towards the 18 . 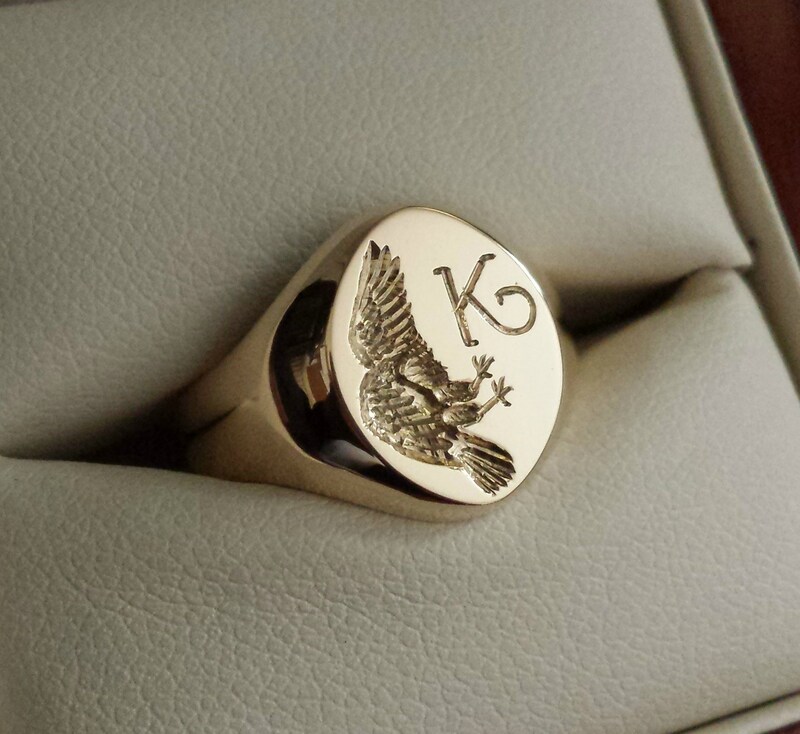 Click here to view our range of gemstone signet rings.